The Temple Mirror is a striking piece. 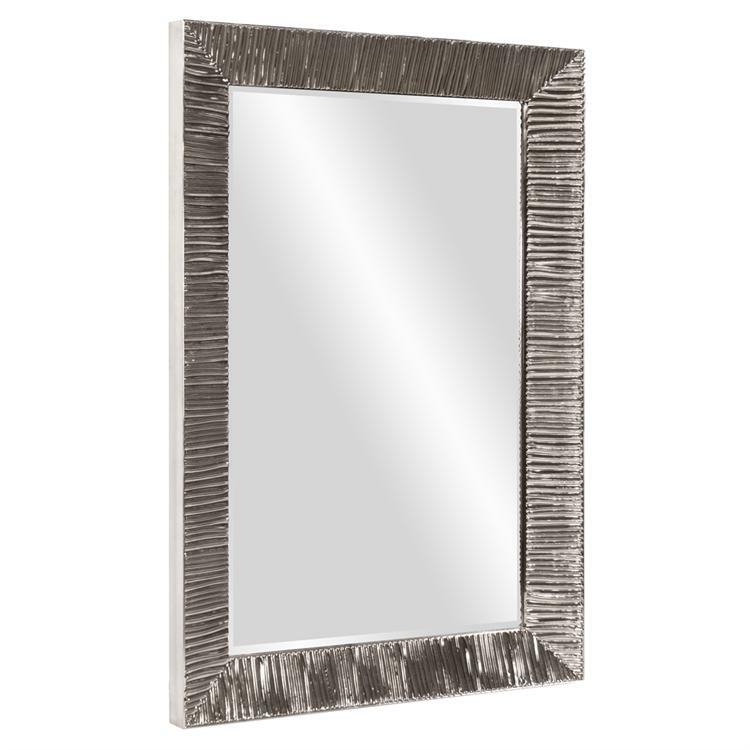 Its rectangular frame is textured with ridges that add an amazing movement and style to the mirror. It is finished in an electrostatic bright nickel plating. It is a perfect focal point for any design. The mirrored glass on this piece has a bevel adding to its beauty and style. The Temple Mirror can be hung vertically or horizontally. Customizable for larger orders.